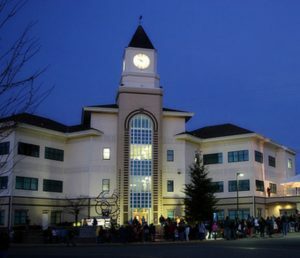 The news that Port Orchard recently introduced a online public records request portal may not have exactly rang your chimes, unless you’re an avid local government watcher or a member of the media. Whether you regularly request documents or have the occasional need, the software promises quicker, easier service. I recently tried it out and found it to be useful but also, to some degree, a work in progress. For one thing, you have to drill down a couple of clicks from a menu on the right of the homepage to get to the records portal. I would like to see a highly visible “Public Records” button on the homepage. Court and police records are not yet available through the new portal. City Clerk Brandy Rinearson said she will try in the future to get them included in the “public records center.” To obtain court and police records, contact those departments. You do need to create an account to use the system, but I will say it’s worth it, because you can track your requests and see them all in one place. Rinearson told me it’s more efficient on the city’s end, as well. For example, common and readily available documents like city council agendas, that are already on the city’s website, are a snap for staff to deliver. Other documents take more research on the part of staff. Best of all, when your documents are ready, they appear in your account all set to download. One thing I expected was a link to frequently requested documents. There isn’t one. There is something called a “knowledge base,” that has frequently asked questions about public records law, how to obtain birth death and divorce certificates, and answers to other questions the city clerk and her staff get all the time. I think they should have called it FAQ. There’s also something that says “view public records archive” that I was excited about, thinking it was a list of records requests that have been made of the city. It wasn’t. The city keeps an excel sheet of all records requests, showing who made them, what was requested, how it was fulfilled and the cost to the city. This is a public document that I and others have obtained in the past. Rinearson said she would consider adding this as a feature of the new system. The public archive is a place for the city to put documents that suddenly become of wide interest. Of course the city will still fulfill public records requests however they’re made, by a phone call, email, fax or in person. Many cities and other governments are moving to some version of the records portal system used by Port Orchard. For us frequent fliers, it’s a welcome tool, and I look forward to seeing the city expand on its capabilities.